Riggio, Adam. “Belief in a Weird World: A Review of Bernard Wills’ Believing Weird Things.” Social Epistemology Review and Reply Collective 8, no. 3 (2019): 1-5. 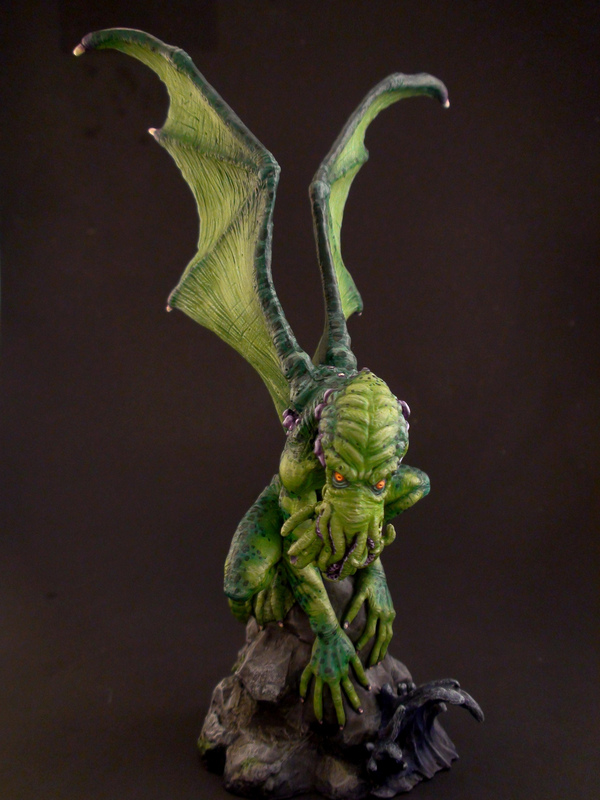 H. P. Lovecraft’s creation, Cthulhu, is one of the world’s most famous symbols of the weird. Weird is a strange word. The idea of weirdness itself is rather strange, as suits the subject I suppose. Bernard Wills has written the essay anthology Believing Weird Things, in part, to explore what weirdness is. The book itself, however, is rather weird. Or at least, it’s weird to an academic audience. Let me explain. While I write quite a few book reviews for SERRC, over the last while, the amount of time between my receiving a review copy and actually writing and submitting the review of the book has lengthened from a flexible to a messianic duration. So my reviews often end up being informed by other reviews of the same book, where others have gotten around to it before me. So this review is also, though in small part, a rebuke to Matthew Dentith’s earlier review of Believing Weird Things published late last year. Although it remains far from perfect, Wills has written a book that is both challenging and accessible to a wide audience. 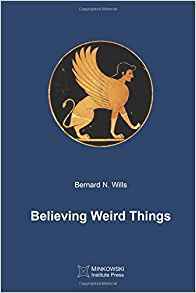 Believing Weird Things is a popular book of philosophical thought, in the tradition of Bertrand Russell’s public philosophical essays. For some audiences of researchers, a book of that character may be too weird to understand at first. What Is Weird? The Weird? Weirdness? Whether something is weird is not a matter purely of ontology. There is no weird in itself, since weirdness is a relational property. Something is weird only in comparison to something else, relative to surroundings, wider environments, or the expectations of people regarding those surroundings and environment. Weirdness is most fundamentally an epistemological concern. When a sudden disturbance appears in the smooth flowing of a natural process, that disturbance is simply disruptive and destructive. We as self-conscious observers may call it weird, but regarding the process and its disruption in themselves, there are matters of fact alone. Science-fiction and horror literature has probed the nature of weirdness in more nuance than many philosophical arguments. The weird unsettles expectation, which creates an immediate fear and a profound fear. Speaking immediately, a weird encounter is a sign that presumptions about the reliability of the world to sustain your own life are in doubt. That causes fear for your life. The more profound fear of the weird inspires is that, more than just your life being at risk, the fundamental nature of reality is at risk. It would be extremely dangerous to encounter creatures like the Shoggoths of Lovecraft’s “At the Mountains of Madness,” one of the stories that helped forge the genre of weird fiction, but their nature is weird enough such an encounter would call into doubt everything you believed about reality itself. To be weird is to have a character or nature that is such an anomaly for your expectations of how and what the world is, as to be unnerving. 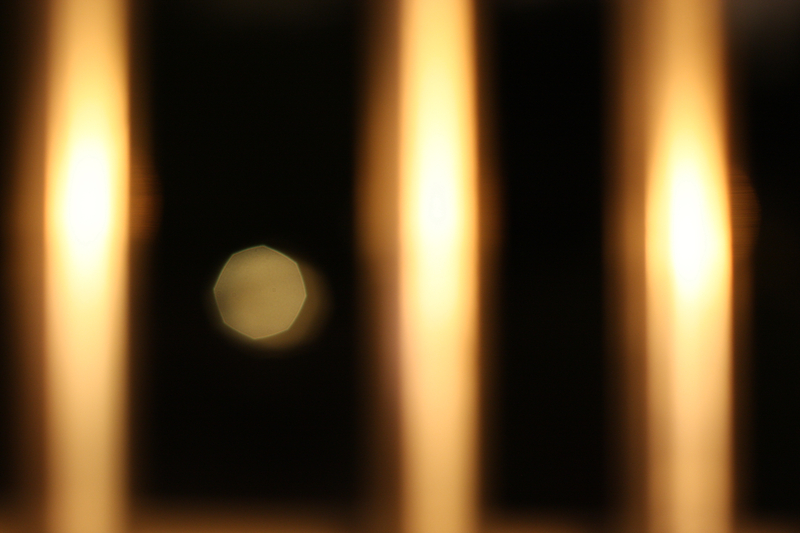 A natural process cannot be unnerved, only a self-conscious subjectivity. What is, is; what is weird must be understood as weird. Weirdness, therefore, is in the eye of the beholder. At least that’s what I would say if I were disposed to cheap clichés. Different people with different histories, cultures, moral and aesthetic values will consider different things weird. Wills himself describes it well in his essay on Rastafarian religious beliefs, one of the best in the volume. Rastafarianism is a Caribbean religious minority, its people marginalized in the faith’s Jamaican birthplace. The religion’s cultural influence far outshines its size because of the global fame and historical influence of Rastafarian musicians in reggae, such as Bob Marley, Peter Tosh, and Lee Scratch Perry. But to someone raised in a generally Christian culture, some Rastafarian beliefs are genuinely strange, even though much of the religion is a clear outgrowth of the Abrahamic tradition. The Rastafarian Jah is the same God as Islam, Christianity, and Judaism. Rastafarianism recasts the Jewish concept of the chosen people to refer to all Africans who suffered from colonization and the Atlantic slave trade, their Exodus being the ongoing process of decolonization. Like Islam, the moral principles of the religion incorporate rituals of worship into everyday social life, and it roots those moral principles in the shape of world history. Rastafarian parallels with Christianity are, as Wills and I agree, rather weird. Rastafarianism has a Messiah figure that operates according to the same metaphysical principles as Christ. Haile Selassie I, Ethiopian Emperor from 1930 to 1974, is the living incarnation of God for Rastafarians. I use the present tense because Rastafarians hold that Selassie is alive in some form, despite his 1974 assassination in Ethiopia’s communist uprising. In all seriousness, I expect there eventually to be a theological schism in Rastafarianism over how to reconcile their faith with the fact that Selassie was murdered and his body stuffed under the toilets of a palace bathroom, discovered decades later, long after that palace had been converted into government offices. I can talk about this with an air of humour, as though I’m joking from a position of relative privilege at the expense of Rastafarianism and Rastas. The detachment that allows me to dehumanize Rastafarian culture with this smirking bemusement is rooted in my attitude toward the faith: it is alien, a culture I know only through song lyrics and cultural stereotypes. I find the Rastafarian faith’s messianism weird, but only because I was not raised a Rasta or near any Rastafarian communities. In Wills’ best essays, he uses these extended philosophical case studies to uncover the epistemic, political, and moral implications of who considers what weird, and why. The only real problem I have with the book is that not all of its essays are as good as its best. If I can use terms that more often describe albums, Believing Weird Things is a little front-loaded. The book is divided roughly in half. The first essays explore weird ideas and beliefs as a philosophical historian building a book of fascinating case studies. The second half of the book describes different ways in which weirdness has been weaponized, how difference and strangeness become no longer guides to fascinating places, but targets to be destroyed. Yet I don’t want to linger too long on praise for the actual best essay in the volume, where Wills insightfully and incisively identifies the dynamics of racist discourse that show how Islamophobic ideology merges the dehumanization of colonial racism with the paranoia and massification of classical European anti-Semitism. That’s all I really need to say other than that “Portrait of an Islamophobe” alone is ethically worth your buying Believing Weird Things at its affordable price, expressly for the purpose of rewarding Wills with one more purchase in his next royalty payment. So when my biggest critique of a book is that some essays aren’t as good as others in an essay collection, you can be pretty sure that I don’t have a significant problem with what he’s doing. Believing Weird Things ends with two essays that originally appeared in earlier forms at SERRC, two analyses of the nationalist turn in Western conservatism. Those essays offered quality insights on the true nature of conservatism as a tradition of English political philosophy whose classical works were the landmarks of Thomas Hobbes and Edmund Burke, and how the nationalism that dominates today’s right wing itself betrays many of the principles of those great thinkers. However, they make for an odd fit with the other essays of the book, all of which explicitly experiment with our concept of the weird to develop a new philosophical insight. These last two essays are fine in themselves, but as they appear in Believing Weird Things, they amount to filler tracks that stand apart from the main themes and style of the book. My last point is a soft rebuttal to Matthew Dentith’s earlier review of Believing Weird Things. I couldn’t help but find Dentith’s critiques a little off the mark, since they were rooted in a conception of the weird that Wills didn’t share. This conception of the weird is rooted in Forteana, the study and archiving of generally weird and strange phenomena, rumours, objects, folklore. There are two central organizing concepts in the work of Charles Fort, as he first developed his project and how it has continued since. They are anti-systematicity and skepticism of skepticism. Fortean catalogues of weird things and events make no attempt to understand these departures from the norm as expressions of some underlying order. This is anti-systematicity, which parallels skepticism of skepticism, the refusal to doubt that something exists or occurred merely because its existence contradicts or is contrary to established knowledge. Any system of knowledge based on these principles of anti-systematicity and skepticism of skepticism will regularly produce weirdnesses, because if you hold them, you will accept without much trouble radical departures inductively valid expectations about what is and is not possible. But these principles do not exhaustively define what is weird or what weird is. Fortean epistemology is openness to the weird, but does not itself define that which is weird. Dentith’s analysis of Wills’ work conflates the two. But Dentith’s error is a learning opportunity for us in who the best audience for Believing Weird Things would be. Dentith’s misinterpretation flowed from his prior experience in academic research. Earlier in his career, the study of Forteana and the works of Michael Shermer, particularly his 1997 Why People Believe Weird Things, was important to his intellectual development. In the introduction, Wills frames his own Believing Weird Things as a response to Shermer’s arguments from the end of the last century. Dentith critiques Wills for having chosen an apparent interlocutor from more than 20 years ago, seeing this as an attempt to restore Shermer’s ideas to a place in contemporary philosophical debates in the spheres of academic publication. But Wills never justifies such a restoration in his own book. Indeed, Wills never refers to Shermer in as much detail in the rest of the book as he does in the introduction. Such a use of Shermer appears sloppy, and I do think Wills should have been a little more explicit in explaining the role that Shermer’s work plays in his own thinking. A figure who plays such a major role in an introduction, but disappears throughout the main body of the book makes for poor academic writing. But Wills’ only mistake here was having given Dentith the opportunity to make his own mistake. Wills does not aim to restore Shermer to some more prestigious position in academic philosophical debates. Engaging with Shermer’s ideas has a more personal meaning for Wills, because a chance encounter with Shermer’s work was the inspiration for a trilogy of books that explore the nature of weirdness, of which Believing Weird Things is the second. Wills refers to the work of Shermer to invoke him as an inspiration for his in-progress trilogy. Invoking an intellectual ancestor is not a reason that can inspire most academic writing, especially that based in paywalled research journals. Dentith did not understand this aspect of Believing Weird Things because he kept his analysis inside the context of the academician’s writing. Bernard Wills has written a book for a general thinking audience, a contribution to the social and ethical antidotes to rouse the red-pilled from their dogmatic slumbers. Believing Weird Things asks readers to re-evaluate what they consider reasonable and strange, that weirdness is a category without a simple definition or clear boundaries. Dentith, Matthew R. X. “Between Forteana and Skepticism: A Review of Bernard Wills’ Believing Weird Things.” Social Epistemology Review and Reply Collective 7, no. 11 (2018): 48-52. Wills, Bernard. Believing Weird Things. Montréal: Minkowski Institute Press, 2018. Okay, that makes me sound way, way too late. Author Information: Patrick Bondy, Wichita State University, patrick.bondy@wichita.edu. Bondy, Patrick. “Knowledge and Ignorance, Theoretical and Practical.” Social Epistemology Review and Reply Collective 7, no. 12 (2018): 9-14. In “What Ignorance Really Is: Examining the Foundations of Epistemology of Ignorance,” Nadja El Kassar brings disparate conceptions of ignorance from recent epistemology into contact with each other, and she proposes an integrated conception of ignorance which aims to capture the important aspects of each of these conceptions. This paper is both useful and stimulating for anyone interested in the subjects of knowledge and ignorance, especially those who might be ignorant of work on ignorance conducted in other branches of epistemology. This is the standard approach in epistemology. On this approach, ignorance consists of a subject’s lacking either knowledge of or belief in a true proposition. Agential ignorance goes beyond mere propositional ignorance, in “explicitly includ[ing] the epistemic agent as contributing to and maintaining ignorance” (p.3). Epistemic vices such as arrogance, laziness, and closed-mindedness contribute to this sort of ignorance. On this approach, the particular way in which ignorance is brought about or maintained is viewed as partly constitutive of the ignorance itself. Like the agential conception, this conception of ignorance views the causes of ignorance as partly constitutive of ignorance. Unlike the agential conception, however, the structural conception takes into account belief-forming practices and social structures that go beyond the individual cognizer. El Kassar argues that each of these other conceptions of ignorance gets at something important, and that they are not reducible to each other. So she proposes her integrated conception, which aims to bring the key features of these approaches together: “Ignorance is a disposition of an epistemic agent that manifests itself in her beliefs – either she has no belief about p or a false belief – and her epistemic attitudes (doxastic attitudes, epistemic virtues, epistemic vices)” (p.7). Third, I will propose that we should recognize another kind of ignorance, which we might call practical ignorance, which consists of not knowing how to do things. There is a clear way in which practical ignorance is distinct from propositional ignorance, given that knowledge-how and knowledge-that appear to be different kinds of knowledge that are irreducible to each other. But there is also a sense in which practical ignorance can be partly constitutive of propositional ignorance, which is similar to how El Kassar sees agential ignorance as partly constitutive of ignorance in general. Indeed, I will suggest, El Kassar’s integrated view of ignorance might easily be extended to cover practical ignorance as well. I want to defend the view that propositional ignorance is the most fundamental kind of ignorance. Viewing ignorance this way is intuitively plausible, and it allows us to say everything we need to say about ignorance. The claim that propositional ignorance is most fundamental is ambiguous. On the one hand, it might mean that agential and structural ignorance are entirely reducible to it, in the sense that the crucial aspects of agential and structural ignorance as described above, such as the cognitive dispositions of individual subject or the knowledge-producing institutions extant in a society, are themselves all forms of propositional ignorance or that they derive from propositional ignorance. El Kassar notes that that kind of reductivism is implausible, and it is not the view I mean to defend here. Instead, I mean to defend the proposal that “The propositional conception is most fundamental because the second and the third conceptions are not really conceptions of ignorance but rather accounts of different causes of ignorance” (p. 4). On this view, the only condition that constitutes ignorance is lack of knowledge or true belief, and so all ignorance is propositional ignorance. But propositional ignorance might be brought about in various ways, and it is useful to distinguish the various ways in which it can be brought about or sustained, especially when some of those ways make a person’s or a group’s ignorance particularly dangerous or resilient. This approach does not aim to denigrate the projects pursued by proponents of agential and structural conceptions of ignorance. It does not even aim to prevent us from talking about different kinds of ignorance as differentiated by their agential or structural causes. Just as we can categorize propositional knowledge into different kinds based on the subject matter of what is known and the methods by which knowledge in different areas is acquired, all the while acknowledging that these are still all kinds of propositional knowledge, so too we can distinguish kinds of propositional ignorance based on the subject matter and the ways in which ignorance is caused or maintained, while still recognizing these as kinds of propositional ignorance. El Kassar objects (p. 4) that this proposal misunderstands the agential and structural conceptions of ignorance, for they aim to broaden our view of ignorance, to incorporate more than just propositional ignorance. They view certain kinds of agential or structural causes of ignorance as part of what constitutes ignorance itself. Propositional conceptions of ignorance cannot capture these aspects of ignorance; these aspects of ignorance are not propositional in nature, after all. But it seems that propositionalists can make two replies here. First, if virtue epistemologists such as Greco (2009) are right, then knowledge itself depends on subjects possessing and exercising certain cognitive abilities. In that case, there are agential aspects to propositional knowledge—and in some cases, to propositional ignorance. So some aspects of agential ignorance can be built into propositional ignorance. And second, it’s not clear that we need to broaden the conception of ignorance to include things beyond propositional ignorance. Granting that there are aspects of agential and structural conceptions of ignorance that are left out of the account of what ignorance is when we take propositional ignorance as fundamental, it does not follow that we cannot take those aspects of agential and structural ignorance into account at all. Some kinds of causes of ignorance are worth dwelling on in our theories of knowledge and ignorance. We just don’t need to think of the causes of ignorance as themselves forms of ignorance, or as part of what constitutes ignorance. So it seems to me that we can still say everything we want to say about what are here called propositional, agential, and structural ignorance, even if we only ultimately count propositional ignorance as ignorance proper, and we count the features of agential and structural ignorance as important causes of ignorance proper but not themselves constitutive of ignorance. 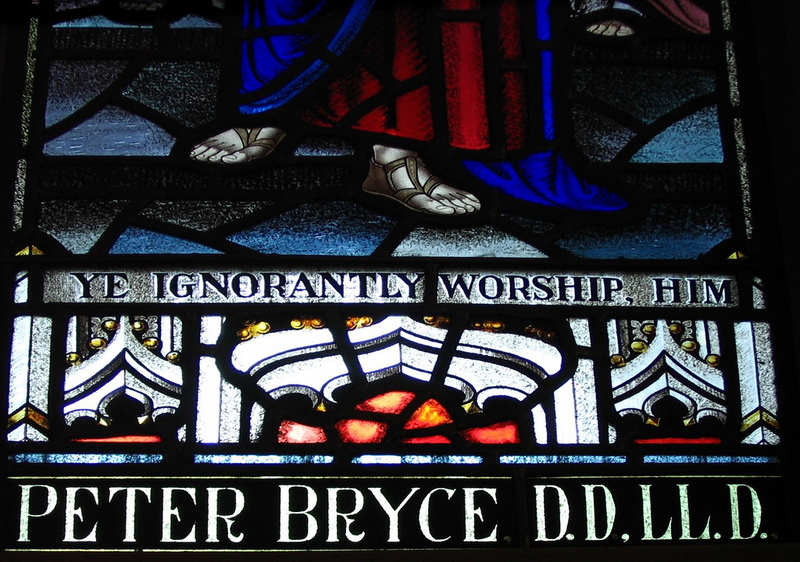 Propositional Ignorance: Lack of Knowledge or True Belief? El Kassar notes that if we take the propositional conception as fundamental, then we will need to decide whether to take ignorance to consist of a lack of true belief or a lack of knowledge. But perhaps we can have it both ways. As Goldman and Olsson (2010) note, ordinarily, from the fact that S lacks knowledge that p, one may infer that S is ignorant of p. Knowledge and ignorance appear to exhaust the logical space, for a given subject S and true proposition p.
Furthermore, in ordinary English there are strong and weak senses of “knowledge,” with the weak sense meaning simply true belief, and the strong sense meaning Gettier-proof justified true belief. In the weak sense of “knowledge,” ignorance is a lack of knowledge and a lack of true belief, because knowledge and true belief are one and the same, on this conception of knowledge. In the strong sense of knowledge, on the other hand, a lack of knowledge results from lacking true belief, or from lacking justification, or from being Gettiered. But, Goldman and Olsson argue, lacking justification or being Gettiered do not make a person ignorant of whether p is true. As long as p is true and S believes p, it is incorrect to say that S is ignorant of p.
So Goldman and Olsson plump for the view of ignorance as lack of true belief. But another option is to take their initial point about ignorance as a lack of knowledge at face value. Given that ignorance is a lack of knowledge, and given that there are strong and weak senses of “knowledge,” one would expect that there also are strong and weak senses of “ignorance.” A lack of knowledge in the weak sense would be ignorance in the strong sense, and a lack of knowledge in the strong sense would be ignorance in the weak sense. Because knowledge in the strong sense consists of more than knowledge in the weak sense, a lack of knowledge in the strong sense takes less than does a lack of knowledge in the weak sense. The proposal here is that ignorance at bottom consists of a lack of knowledge. So far, in line with the Standard View, we have only been considering propositional knowledge: ignorance consists of the existence of a true proposition p, and S’s lacking knowledge that p.
But on the assumption that knowledge-how is not reducible to knowledge-that, it seems useful to have a conception of ignorance which will apply to the lack of knowledge-how. For example, it seems natural enough to say that I am ignorant of how to kick a field goal, or how to speak Mandarin, or how to build a sturdy chair. And if knowledge-how is not just a species of knowledge-that, then my ignorance of these things consists of more than a simple lack of true beliefs about how these things are done: they consist at least in part of my lacking the ability to do them. We can call this kind of ignorance practical ignorance. Importantly, practical ignorance is not reducible to the agential kind of ignorance discussed above. Although the agential conception takes cognitive abilities and dispositions to be partly constitutive of ignorance, practical ignorance would be much broader, encompassing practical inabilities as well as cognitive inabilities. Further, the agential conception of ignorance draws our attention to ignorance that can sometimes be actively maintained by very sophisticated intellectual abilities, in which case such ignorance does not manifest practical ignorance. For example, one might have the ability to reinterpret data to support a preferred outlook. That is not a truth-conducive ability, but it is an ability to form desired beliefs, and it is an ability at which people can become quite proficient. In cases where a subject exercises such an ability, she might successfully maintain a distorted or mistaken outlook because of the exercise of practical abilities, not because of practical ignorance. Like propositional ignorance, practical ignorance can be partly caused or sustained by agential and structural features of a person or a society. For example, practical ignorance can be actively maintained by an individual’s interference in her own development, or by other people’s interference in her development. Social structures geared toward the oppression of segments of the population, or which simply encourage members of certain social groups to participate in some activities and not to participate in others, can also contribute to sustaining people’s practical inabilities. And, like agential ignorance, practical ignorance can be responsible for maintaining propositional ignorance in individuals or in groups, about individual propositions or about whole domains of knowledge. For example, the inability to speak local languages can keep victims of human trafficking from gaining knowledge of the kinds of resources that might be available to them. The inability to perform relatively simple arithmetical calculations can prevent an individual from knowing whether she is receiving the correct amount of change in a transaction. The inability to conceptualize certain kinds of behaviour as abusive can sustain a lack of understanding of one’s situation. And so on. So although practical and propositional ignorance are different kinds of ignorance, on the assumption that know-how and knowledge-that are irreducible to each other, they appear to be susceptible to being intertwined in these ways. The nature of practical ignorance and its relation to propositional ignorance bears further investigation. One potential feature of El Kassar’s integrated conception of ignorance is that, although it has a doxastic component built in, and so it does not account for practical ignorance as I am conceiving of it, it might be straightforwardly extended to cover practical ignorance as well. Theoretical ignorance: this would remain as El Kassar formulates her integrated conception of ignorance, as “a disposition of an epistemic agent that manifests itself in her beliefs – either she has no belief about p or a false belief – and her epistemic attitudes (doxastic attitudes, epistemic virtues, epistemic vices)” (p.7). Practical ignorance: a disposition of an agent that manifests itself in her actions – where S fails to φ, or S does not φ well or properly – and her practical attitudes (ethical and pragmatic attitudes, ethical or practical virtues and vices). Ignorance in general: combines theoretical and practical ignorance. Ignorance in general would then be: a disposition of an agent that manifests itself in an agent’s beliefs or actions – whereby she fails to succeed in achieving the characteristic goal of the activity in question (believing truly, knowing, or successfully carrying out some practical action) – and in her epistemic and practical attitudes (doxastic attitudes, ethical attitudes, epistemic and practical virtues and vices). Of course, this is only a suggestion about how practical ignorance could be conceptualized. I have argued in defense of the Standard View of (theoretical) ignorance, so this sort of unified integrated conception is not available to me. Nor do I mean to suggest that El Kassar is committed to developing her view of ignorance in this direction. Still, given a commitment to El Kassar’s integrated view of ignorance, and given that we should also want to give an account of practical ignorance, this seems like a plausible way to deliver a unified treatment of ignorance. El Kassar, Nadja (2018). “What Ignorance Really Is: Examining the Foundations of Epistemology of Ignorance.” Social Epistemology. DOI: 10.1080/02691728.2018.1518498. Goldman, Alvin and Olsson, Erik (2009). “Reliabilism and the Value of Knowledge.” In: A. Haddock, A. Millar, and D. Pritchard, eds., Epistemic Value. Oxford: Oxford University Press, 19-41. Greco, John (2009). “Knowledge and Success from Ability.” Philosophical Studies 142 (1): 17-26. Fricker, Miranda (2007). 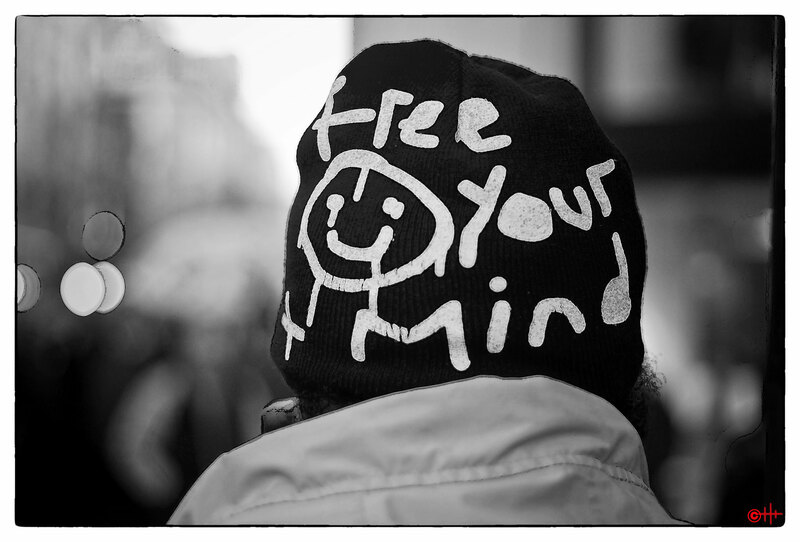 Epistemic Injustice: Power and the Ethics of Knowing. Oxford: Oxford University Press. Peels, Rik (2010). “What Is Ignorance?” Philosophia 38: 57–67. Peels (2010) briefly considers the possibility of practical ignorance, only to set it aside and focus on propositional ignorance. I have in mind here Fricker’s (2007) treatment of hermeneutical injustice. John, Stephen. “Transparency, Well-Ordered Science, and Paternalism.” Social Epistemology Review and Reply Collective 7, no. 7 (2018): 30-33. Should a physician tell you that you have cancer, even if she thinks this would cause you needless distress? Of course she should! How, though, should she convey that news? Imagine three, stylised options. Dr Knowsbest is certain you should have your cancer operated on, so tells you the news in a way which vividly highlights the horrors of cancer, but downplays the risk of an operation. Dr Neutral, by contrast, simply lists all of the facts about your cancer, your prognosis, your possible treatment options, their likely benefits and risks and so on. 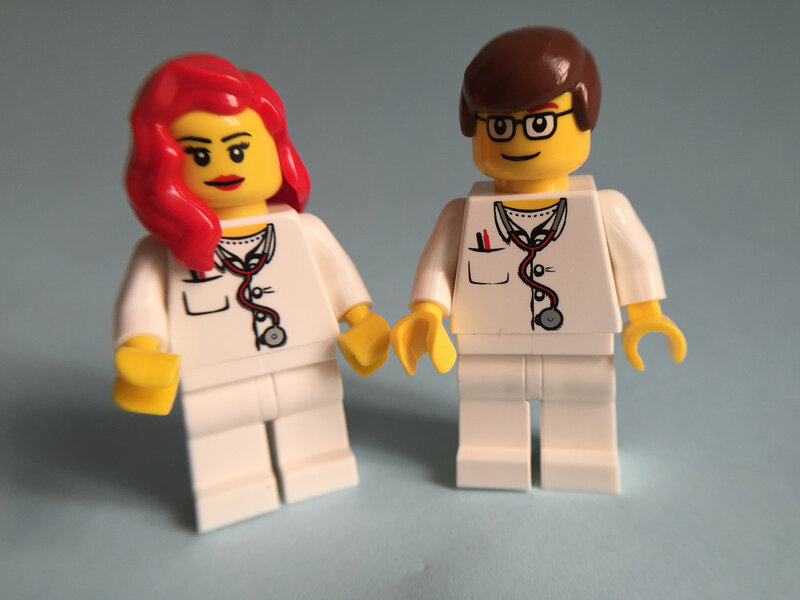 Finally, Dr Sensitive reports only those aspects of your condition and those risks of surgery which she judges that you, given your values and interests, would want to know about. We can, I hope, all agree that Dr Knowsbest’s communicative strategies and choices are ethically problematic, because she acts in a paternalistic manner. By contrast, Dr Neutral does not act paternalistically. In this regard, at least, Dr Neutral’s strategies are ethically preferable to Dr Knowsbest’s strategies. What about the choice between Knowsbest and Sensititve? In one sense, Dr Sensitive acts paternalistically, because she controls and structures the flow of information with the aim of improving your well-being. However, there is an important difference between Dr Sensitive and Dr Knowsbest; the former aims solely to improve your epistemic well-being, such that you can better make a choice which aligns with your own values, whereas the latter aims to influence or override your judgment. Knowsbest’s “moral paternalism” is wrong for reasons which are absent in the case of Sensitive’s “epistemic paternalism” (Ahlstrom-Vij, 2013). Therefore, plausibly, both the Neutral and Sensitive strategies are ethically preferable to Knowsbest; What, though, of the choice between these two communicative strategies? First, I am not certain that it is even possible to report all the facts in a neutral way (for more, see below.) Second, even if it is possible, Dr Sensitive’s strategy seems preferable; her strategy, if successful, positively promotes – as opposed to merely failing to interfere with – your ability to make autonomous choices. At least at an abstract, ideal level, then, we have good reason to want informants who do more than merely list facts, but who are sensitive to their audiences’ epistemic situation and abilities and their evaluative commitments; we want experts who “well-lead” us. In my recent paper in Social Epistemology, I argued that that certain widely-endorsed norms for science communication are, at best, irrelevant, and, at worst, dangerous (John 2018). We should be against transparency, openness, sincerity and honesty. One way of understanding that paper is as following from the abstract ideal of sensitive communication, combined with various broadly sociological facts (for example, about how audiences identify experts). I understand why my article put Moore in mind of a paradigm case of paternalism. However, reflection on the hypothetical example suggests we should also be against “anti-paternalism” as a norm for science communication; not because Knowsbest’s strategy is fine, but, rather, because the term “paternalism” tends to bundle together a wide range of practices, not all of which are ethically problematic, and some of which promote – rather than hinder – audiences’ autonomy. Beyond the accusation of paternalism, Moore’s rich and provocative response focuses on my scepticism about transparency. While I argued that a “folk philosophy of science” can lead audiences to distrust experts who are, in fact, trustworthy, he uses the example of HIV-AIDS activism to point to the epistemic benefits of holding scientists to account, suggesting that “it is at least possible that the process of engaging with and responding to criticism can lead to learning on both sides and the production, ultimately, of better science”. I agree entirely that such a dynamic is possible; indeed, his example shows it does happen! However, conceding this possibility does not show that we must endorse a norm of transparency, because, ultimately, the costs may still be greater than the benefits. Much here depends on the mechanisms by which transparency and engagement are enacted. Moore suggests one model for such engagement, via the work of “trust proxies”, such as ACT-UP. As he acknowledges, however, although proxies may be better-placed than lay-people to identify when science is flawed, we now create a new problem for the non-expert: to adapt a distinction from Goldman’s work, we must decide which “putative proxies” are “true proxies” (Goldman, 2001). Plausibly, this problem is even harder than Goldman’s problem of distinguishing the “true experts” among the “putative experts”; because in the latter case, we have some sense of the credentials and so on which signal experthood. Again, I am tempted to say, then, that it is unclear that transparency, openness or engagement will necessarily lead to better, rather than worse, socio-epistemic outcomes. Does that mean my arguments against transparency are in the clear? No. First, many of the issues here turn on the empirical details; maybe careful institutional design can allow us to identify trustworthy trust-proxies, whose work promotes good science. Second, and more importantly, the abstract model of sensitive communication is an ideal. In practice, it is easy to fail to meet this ideal, in ways which undermine, rather than respect or promote, hearers’ autonomy. For example, rather than tailor her communication to what her audiences do care about, Dr Sensitive might tailor what she says to what she thinks they ought to care about; as a result, she might leave out information which is relevant to their choices given their values, while including information which is irrelevant. An influential strain in recent philosophy of science suggests that non-epistemic value judgments do and must run deep in practices of justification; as such, even a bald report of what a study showed may, implicitly, encode or endorse value judgments which are not shared by the audience (Douglas, 2000). Reporting claims when, and only when, they meet a certain confidence level may, for example, implicitly rely on assumptions about the relative disvalue of false positives and false negatives; in turn, it may be difficult to justify such assumptions without appeal to non-epistemic values (John, 2015). As such, even Dr Neutral may be unable to avoid communicating in ways which are truly sensitive to her audience’s values. In short, it may be hard to handover our epistemic autonomy to experts without also handing over our moral autonomy. This problem means that, for research to be trustworthy, requires more than that the researchers’ claims are true, but that they are claims which are, at least, neutral and, at best, aligned with, audiences’ values. Plausibly, regardless greater engagement and transparency may help ensure such value alignment. One might understand the example of ACT-UP along these lines: activist engagement ensured that scientists did “good science” not only in a narrow, epistemic sense of “good” – more or more accurate data and hypotheses were generated – but in a broader sense of being “well-ordered”, producing knowledge that better reflected the concerns and interests of the broader community (Kitcher, 2003). Whether engagement improves epistemic outcomes narrowly construed is a contingent matter, heavily dependent on the details of the case. By contrast, engagement may be necessary for science to be “well-ordered”. In turn, transparency may be necessary for such engagement. At least, that is the possibility I would push were I to criticise my own conclusions in line with Moore’s concerns. Unfortunately, there is a sting in the tail. Developing effective frameworks for engagement and contestation may require us to accept that scientific research is not, and cannot be, fully “value free”. To the extent that such an assumption is a commitment of our “folk philosophy of science”, then developing the kind of rigorous engagement which Moore wants may do as much to undermine, as promote, our trust in true experts. Moore is surely right that the dynamics of trust and distrust are even more complex than my paper suggested; unfortunately, they might be even more complex again than he suggests. Douglas, H. (2000). Inductive risk and values in science. Philosophy of science, 67(4), 559-579. Goldman, A (2001) “Experts: Which Ones Should You Trust?” Philosophy and Phenomenological Research 63(1), 85–110. John, S. (2015). Inductive risk and the contexts of communication. Synthese, 192(1), 79-96. John, S. (2018). Epistemic trust and the ethics of science communication: against transparency, openness, sincerity and honesty. Social Epistemology, 32(2), 75-87. Kitcher, P. (2003). Science, truth, and democracy. Oxford University Press.